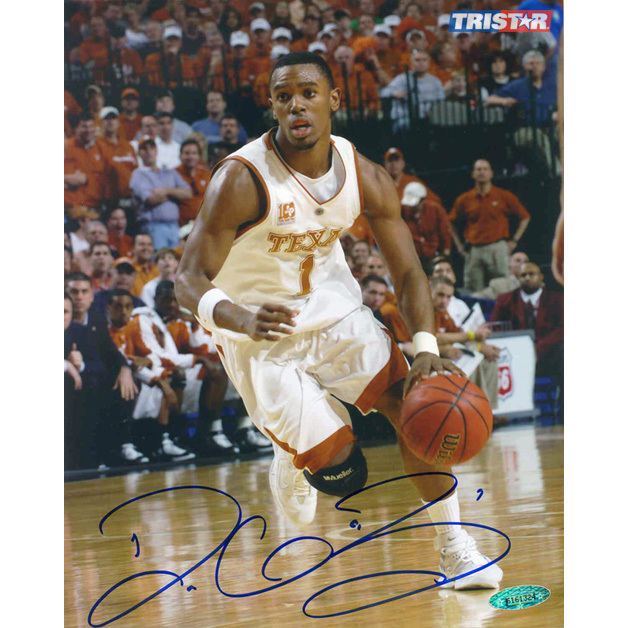 Daniel Gibson starred as the point guard for the University of Texas for 2 seasons. Upon leaving Texas, Daniel Gibson was a key member in the Cavaliers run to the 2007 NBA Finals. Daniel Gibson was named MVP of the 2008 Rookie Challenge after connecting on 11 three pointers. Daniel Gibson has personally hand signed these 8x10 photos. Each Daniel Gibson autographed photo is guaranteed authentic, and includes an individually numbered TRISTAR Authentic hologram. You can verify the authenticity of your autograph by entering your hologram number online at www.tristarauthentic.com.